April 2018 – By Jack Garson. Two Fridays ago, a client called with an urgent request. A massive deal was in jeopardy because he couldn’t come to terms with an ornery subcontractor. A short contract—really short—might rope in the subcontractor and save the day. Could I put together a one-page subcontract? Quick?! Ah, the legendary 1-page agreement—as rare and valuable as a Willy Wonka Golden Ticket, a Spiderman Comic #1 or a Mickey Mantle rookie card. In a world of tweets and text messages, the one-page contract is the holy grail of business. Legend has it that a 1-pager will improve sales, speed efficiency and even perk up your love life. One-page documents were all the rage for a brief golden moment in time. When early drafters skinned their favorite goat and wrote on the parchment, they didn’t knock off another cherished member of the herd so they could add a second page. Later, scriveners tackled their tasks with quills and paper. Then, lawyers barged on to the scene and started making mischief with typewriters. In a feat of ingenuity, they triplespaced the first draft and typed changes in between the lines as they negotiated the deal. The limited space and my father’s cutting-edge technology kept the negotiations, and length of the contract, in check. Fast-forward to the present. We have computers and the cloud—and limitless possibilities. Your agreement can cover every contingency—all of the “WHAT Ifs.” If some five-year-old klepto stole your chocolate milk in kindergarten (undoubtedly a scarring moment), you can add a dozen pages to make sure that won’t happen again. What have these feats of technology wrought? Office leases are 60+ pages. Home sales contracts have bloated up to 90 pages. Commercial construction contracts top 150 pages. It’s crazy. You can’t even put a staple through one of these, much less carry it around. But you don’t have to. After you give birth to one of these elephantine agreements, you plop it into Dropbox and have the other side sign electronically without even printing it. We’ve gone too far. Long agreements are like an endless highway—with your kids singing the same Frozen theme song over and over again in the back seat. Almost everyone knows some agreement that died on that desolate stretch between the 71st and 73rd page. And EVERYONE wishes they were dead somewhere on the way to the end of a 100-pager. That massive contract may cover every possibility, but it may also kill the deal. I wrangle with these behemoths almost every day. I hook up the coffee-IV, duct tape myself to the keyboard and write them. But, I prefer a more elegant, tailored solution. Still, that fabled one-page contract is more of a symbol than a reliable solution. You have to sacrifice detail, protection and complexity. For most situations, use one-page contracts like ejector buttons and Mob favors—only when you REALLY have no other choice. You are not limited to a choice between “contract on a Post-it note” or Encyclopedia-Contract. There’s another solution that is just right: the Goldilocks Contract. Not too short. Not too long. It’s just as long as it needs to be. That does not mean you take a long agreement, use the first few pages and throw out the rest. You don’t build a skyscraper with only the plans for the garage. In this Brief(er) New World, we work harder to produce contracts that are smarter and shorter. Think. If you don’t know what you want to say, you certainly won’t be able to write it. You’ll just be throwing words at paper. Prepare an outline. Include only the key points. Remember: Outlines are shorter than contracts! All of the parties review the outline. Each agrees to the key points. If the parties don’t agree, stop. Discuss. Negotiate. It is much easier to reach agreement on the terms before they are buried in pages of lawyer-ese. Trust me, says the guy who buys paper by the truckload. This bears repeating—because so many ignore it. Agree on the key terms BEFORE you draft the contract. No prima donna gets to say “Let me see what it looks like in a contract and then I’ll decide if I agree.” Nothing magically gets easier to understand—or more favorable—after you sprinkle 27,000 words on top. Convert the outline into a contract. If everyone plays fair and sticks to the agreed-upon terms, finalize the contract. If anyone tries to finagle with the contract, stop. Wave the agreed-upon outline in everyone’s face. Rein in the cheaters and finalize the contract. How does the Goldilocks contract pay off? Quicker deals and lower legal bills (those whispers are my lawyer friends, ex-friends actually, plotting my early retirement—again). The parties to the deal are also happier. Each knows what to expect. So, they are much more likely to honor the deal. Heck, if we all do this, we go to court less often and when we do, it’s not so crowded. Yes, I did deliver that subcontract two Fridays ago. Like a diamond cutter, I painstakingly cut that large, rough contract down to a precise, one-page gem. It saved the deal. We live in an Insta-world. We want immediate, near-telepathic deal-making. But, all too often, our requirements are complex. One page won’t do it and 200 pages overdoes it. You need agreements that are just right. 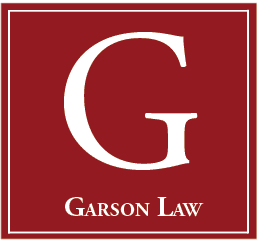 Jack Garson is the founding principal of the law firm of Garson Law LLC in Bethesda, Maryland. 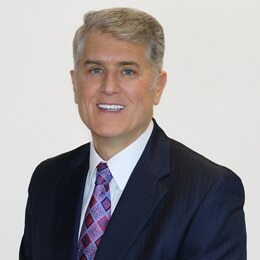 Mr. Garson has extensive experience in business strategy and growth.